The Z Cam S1 is a professional 360 camera with 6K resolution with amazing image quality. I’ve posted several impressive examples. Z Cam followed up with the new S1 Pro, which has a similar body but instead uses larger Micro Four Thirds lenses paired with iZugar lenses. It hasn’t been launched officially yet, but I recently posted an S1 Pro sample here. 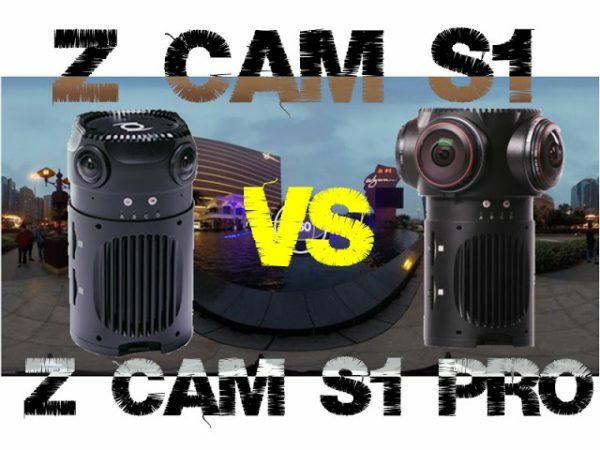 To show the difference in image quality between the two cameras, Z Cam’s Kinson Loo posted 360 videos from the two cameras at the same location, in similar lighting conditions. What do you think? Let me know in the comments below! The Z Cam S1 is $2,499 and the optional WonderStich software is $1,499. I don’t know yet the S1 Pro’s price or availability. That’s a very high price. The normal price of the S1 Pro is $8,800 i think.